Diana gave me this today. 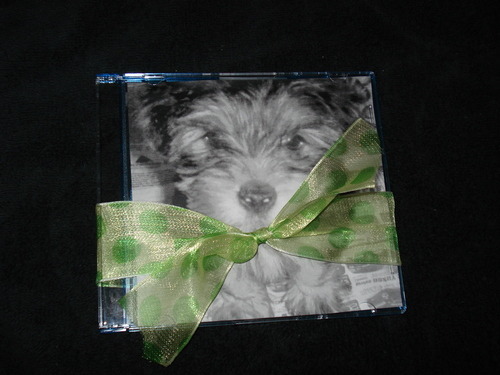 The auntie of my soon to be puppy :) The cd had “At Last” by Celine Dion on it. Awwwe.